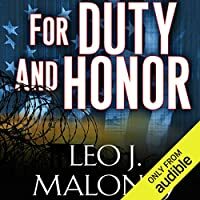 In this action-packed novella, Black Ops veteran Leo J. Maloney delivers a heartpounding tale as fast, cold, and sleek as a 9mm bullet . . . The unthinkable has happened to operative Dan Morgan. Captured by the Russians. Imprisoned in the Gulag. Tortured by his cruelest, most sadistic enemy. But Morgan knows that every prisoner has a past—and every rival can be used. With the most unlikely of allies, Morgan hatches a plan. To save what’s important, he must risk everything. And that’s when the stakes go sky-high. Dan Morgan’s got to keep fighting. For duty. And honor. And even certain death . . .